The gorgeous Double Canyon tasting room has recently opened in Richland, Washington. A relatively new winery with its roots firmly planted in the Horse Heaven Hills, Double Canyon (http://www.doublecanyon.com) has a new modern tasting room that is sure to satisfy any Cabernet lover. The core of the project is the Double Canyon Vineyard, comprised of 90 acres in the center of Horse Heaven Hills, six miles from the Columbia River. The vineyard produces considerably less fruit than other vineyards which focuses the plant’s resources into fewer clusters. The vineyard sees long days with a great deal of sunlight. Planted to a host of Cabernet Sauvignon clones, Will Beightol, Double Canyon General Manager and Winegrower, has been overseeing the vineyard since it was first planted in 2007. Now to the wines. I really enjoyed the 2014 Double Canyon ‘Double Canyon Vineyard’ Cabernet Sauvignon (WWB, 91) for its richness and terroir. Something about this wine just screams Horse Heaven Hills. Double Canyon also makes a great 2015 Petit Verdot (WWB, 90) which showcases this varietal very nicely, showing savory and herbal qualities. 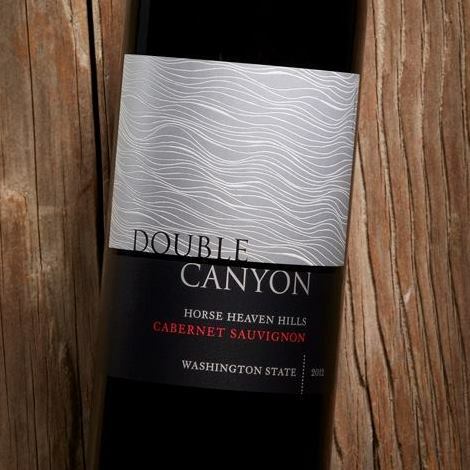 Learn more about this exciting winery at http://www.doublecanyon.com Here are the new releases by Double Canyon.